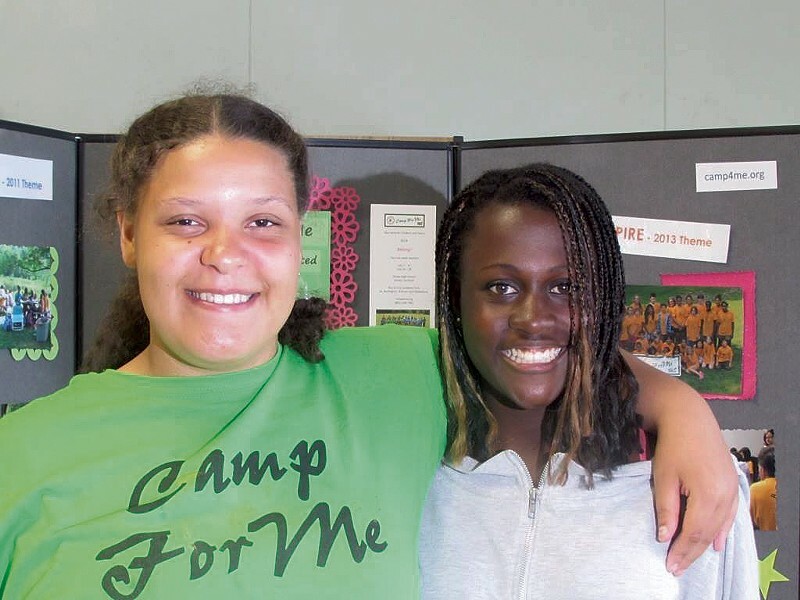 Adopted Kids Find Common Ground at Camp ForMe | Camps | Kids VT - small people, big ideas! Summer camp is all about bonding. OK, it's also about swimming, kayaking and roasting marshmallows. But kids won't return year after year unless they've made connections with fellow campers. That's a big part of the appeal of Camp ForMe. The day camp, held at Stowe High School for two weeks each summer, brings together kids who have one crucial commonality: They were adopted. Some were adopted as infants, others through foster care when they were older. Many have a different skin color than their adoptive moms and dads. All can understand what it's like to be raised by someone other than a biological parent. And that creates a super-strong bond between them. 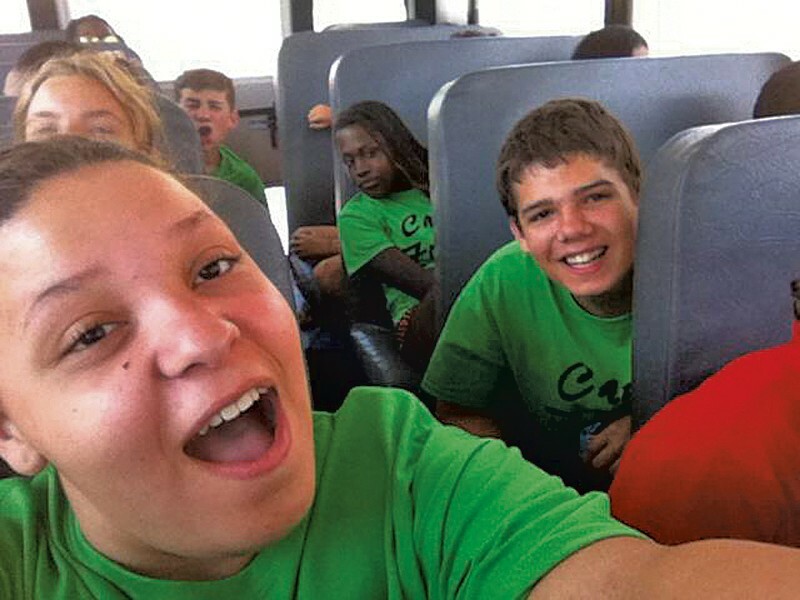 Sixteen-year-old Rachel Mayer started attending Camp ForMe when she was 7 or 8. She hasn't missed a year since. She took part in both one-week sessions last summer and wants to become a counselor when she turns 18. Rachel doesn't know any other adopted kids at her school, Mount Abraham Union High School in Bristol. "A lot of people at school are like, 'I know what you're going through,' but they don't," she says. "If you haven't been adopted, you don't know what it's like. It's painful realizing you're not living with the family you were born from." Rachel has black, white and Native American origins and says going to a predominantly white school can be alienating. "It's hard here," she says, noting that kids have made racist comments that made her uncomfortable. When she goes to camp, "There's a level of diversity there that she doesn't experience at school that she enjoys," her mom, Judy Mayer, says. "She feels like it's the one time of year where she fits the norm." Every summer, she gets to see the friends she made the year before. "It's kind of like a little family," says Mayer. Camp ForMe began some 20 years ago under the umbrella of the Vermont Children's Aid Society, a now-defunct organization that guided families through the adoption process and also ran a summer camp at the Green Mountain Valley School in Waitsfield. When the organization disbanded in 2009, a group of parents decided to keep the summer programming alive. They "really saw camp as vital to their kids," says Amy Chambers, who has been the camp's director for the last four years. 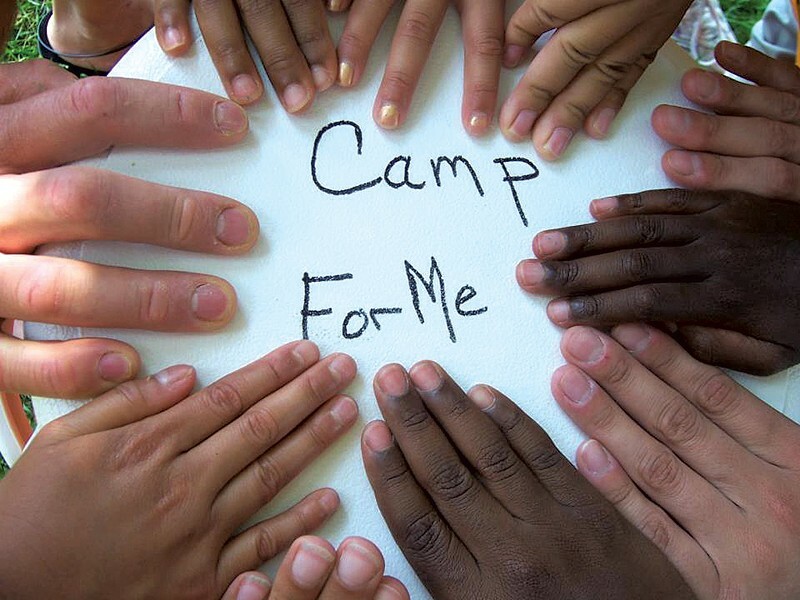 Camp ForMe is now a small nonprofit devoted solely to running the camp. While campers have adoption in common, it's not part of the curriculum. "It's just what unites them," says Chambers. "We're creating that opportunity for affinity with other adopted kids in Vermont, whether that means connecting with other kids of color or sharing a story." Campers range in age from 7 to 17, and the older kids are encouraged to help out with the younger group through a leadership program. Days are filled with traditional summer-camp activities such as boating, rock climbing, arts and crafts, dance and ropes courses. Most of the parents who helped to create the organization still serve on its board. One of those is Bill Drislane, the board chair. His 14-year-old son, Willy, began attending the camp in 2008. "As an 8-year-old, joining anything was difficult for our boy," recalls Drislane. But he took to Camp ForMe quickly. Coming together with other adopted kids "means a lot to these kids," says Drislane. "It's just a place where they can settle in, in ways they can't the other 51 weeks of the year." Fifty kids attend each weeklong camp session, but the organization is hoping to grow, gradually. "This is a mom-and-pop organization, and we're all working stiffs, and it's hard to pull it all together," says Drislane. "So we're always searching to expand our support base." Not all staffers have experience with adoption, but some counselors are former campers. And Chambers notes that there are several social workers on staff to help address any complex emotional issues that might arise. "So many children who are adopted are ... asked to talk about it — through therapy, groups, their own questioning," Chambers goes on. "We let the kids lead the conversation." Chambers wasn't adopted, nor does she have an adopted child, so she says there's been a steep learning curve since she took the helm of Camp ForMe. She's been impressed with the openness of the campers she meets each summer. "It's amazing," she says. "Seeing kids together for one or two weeks, seeing them make connections and hearing them tell their stories to each other. Whatever trauma they've been through, or challenge, they can turn to someone next to them and say, 'Oh my god, you've been through the same?'" At the end of each session, parents are invited to join their kids for an awards ceremony and lunch. The accolades are based on character, not skills. For example, instead of getting an award for being the fastest runner, a camper might be recognized for looking out for other campers. The week wraps up with a slideshow of photos. "The kids really love to relive the week together," says Mayer. "They really cherish that time together."